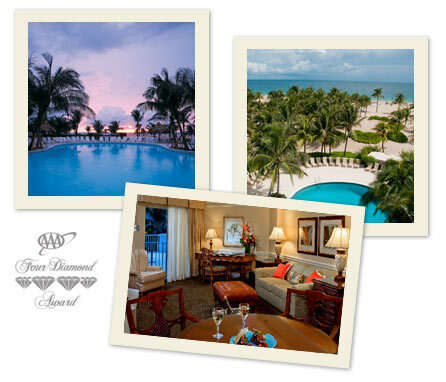 Enter to win a getaway to the locally-owned, independent Lago Mar Resort and Club! Just recommend your favorite locally-owned business for your chance to win a 3-day, 2-night stay for two at the fabulous Lago Mar Resort and Club in Ft. Lauderdale, Florida. The more times you recommend a business, the better chances you have of winning. If you said other, please specify below. Nestled amid ten lush acres on the Atlantic Ocean, Lago Mar Resort and Club is a secluded AAA Four-Diamond resort in Fort Lauderdale offering the area’s largest private beach, 204 luxurious rooms and suites, and full-service European spa. One (1) winner will be chosen to receive a three (3) day two (2) night stay for two in a one (1) bedroom suite at Lago Mar Resort & Club. Stay is valid June 1st through September 2nd, excluding July 3rd and 4th, other blackout dates may apply. The winner will be announced by May 15, 2011. Subject to change without notice. In order to be eligible, entrants must provide business recommendation, phone number and email. Entrants may opt-out at any time. We value your privacy and will keep ALL submitted information confidential. 2. Entrants must be at least 18 years of age or older. 4. The closing date for an entry is 12 midnight EST on April 30, 2011. Winners will be selected in a random drawing, within 7 days of this closing date, from all eligible entries received by the closing date. 5. The winner will be notified within 7 days of drawing. Odds of winning are based on the number of eligible entries received. Winner will be notified by telephone or email, whichever is appropriate. 6. The prize must be taken, and travel completed, by September 2, 2011. 7. Prize: See specific prize details. Prizes are not transferable and no substitutions or cash equivalents are permitted except by Sponsor. Travel dates may be subject to blackout periods and other restrictions. If the prize is not claimed within the specified time limit, the prize will be forfeited. Federal taxes, local state taxes, airports departure taxes, or other fees connected with the prize will be the sole responsibility of the prizewinner. Entrants waive the right to claim as a cost of winning any prize, any and all costs or expenses associated with redemption or travel to redeem. 8. The prize-winner must accept that that his/her name and/or likeness may be announced in Independent We Stand literature or on the Internet for publicity or advertising purposes without additional compensation, except where prohibited by law. 9. By accepting any prize, the winner agrees to and releases Independent We Stand, the prize sponsors and its representatives, from all liability of any type whatsoever. 10. Independent We Stand reserves the right in its sole discretion, to cancel or suspend any sweepstakes should virus, computer hackers, or any other cause beyond its control impede the administration and or security of such sweepstakes. 11. Independent We Stand may use any entrant information obtained in this promotional sweepstakes for purposes of conducting this promotion and will not disclose such information externally to third parties. 12. Prizes. Travel must be completed by September 2, 2011. 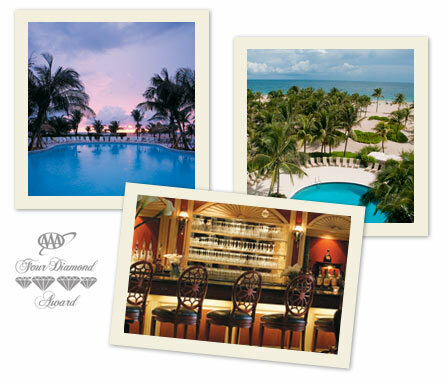 A travel voucher will by issued by Lago Mar Resort and Club. The winner must contact Lago Mar Resort and Club to book this trip. All expenses not expressly stated in the package description, including but not limited to, meals, air transportation, ground transportation, security fees, taxes, insurance, and gasoline or otherwise are the responsibility solely of winner. Travel restrictions, conditions and limitations may apply. Sponsor will not replace any lost or stolen travel vouchers. No cash or other substitution, assignment or transfer of prizes permitted, except by Sponsor, who reserves the right to substitute a prize or prize component with another of comparable or greater value. Winner is responsible for all taxes, surcharges and fees associated with prize receipt and/or use. 13. Prizes are non-transferable. No cash redemption allowed by winner. By accepting prize, each winner acknowledges compliance with these official rules. 14. Employees of Independent We Stand, STIHL Inc., its marketing agencies and affiliates are ineligible. Copyright © Independent We Stand.